In this Baby Sleeping Bag comparison, you can find out what the Tell Me Baby community thinks are the top Baby Sleeping Bags on the market. Love To Dream Love To Dream Swaddle UP™ Original 1.0 TOG $39.95 4.9 23 "These swaddles are a dream come true! they are super soft and keep baby comfortable and secure." ergoPouch ergoPouch Bamboo Sheeting Baby Sleeping Bag (0.3 tog) $59.95 4.9 14 "This product is well worth the money to keep bub lovely and warm/cool in their cot at night/day." ergoPouch ergoPouch Sheeting Sleeping Bag (3.5 tog) $79.95 4.9 12 "The fabric is great and he never feels overheated either. No need for a blanket when you have this!" ergoPouch ergoPouch Sleep Suit Bag (3.5 tog) $84.95 4.8 20 "A really great investment and the quality is top notch. We love these sleeping bags." Gro Company Gro Company Grobag 1.0 Tog $74.95 4.7 19 "They are great! I've found them of excellent quality, they wash well, and there's plenty of room to grow in them." ergoPouch ergoPouch Sheeting Sleeping Bag (2.5 tog) $79.95 4.7 13 " I have found the bag to be really warm which is perfect because my baby tends to kick his blankets off." 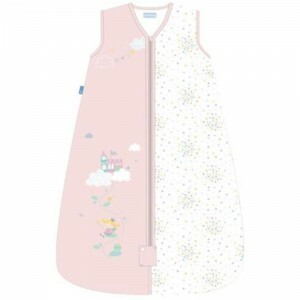 ergoPouch ergoPouch Sleep Suit Bag (2.5 tog) $84.95 4.7 16 "This sleeping bag is perfect for the cold winter nights. Love that you can use it for a long time and separate the legs." 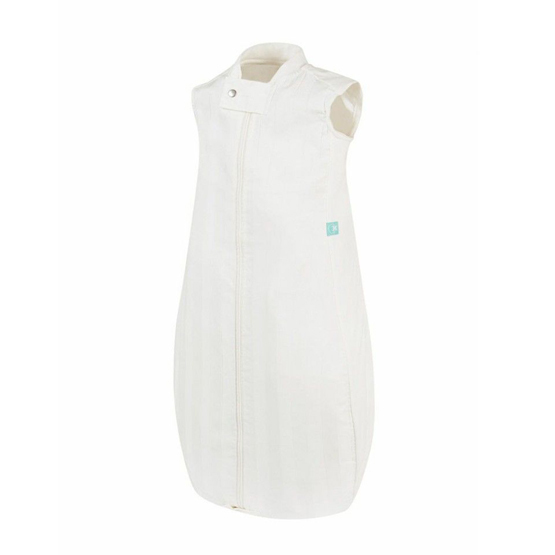 ergoPouch ergoPouch Cocoon Swaddle + Sleep Bag (2.5 tog) $59.95 4.6 26 "We love ergopouch. Our little man slept well in this. He could move enough, but didn’t escape. It was breathable, snug at the top and cozy." ergoPouch ergoPouch Cocoon Swaddle + Sleep Bag (0.2 tog) $34.95 4.5 15 "This is a great, very easy to use swaddle - just zip up and you're done. No need to revisit throughout the night as baby wriggles free." 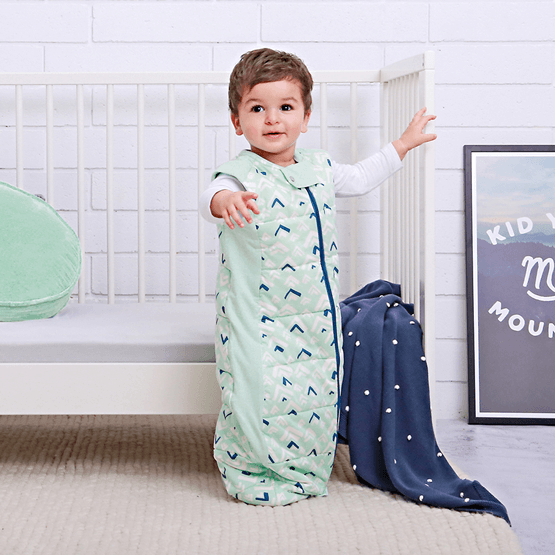 Gro Company Gro Company Swaddle Grobag 0-3m $44.95 4.5 11 "So easy to use and the sleeping bag is so soft and keeps baby super snug, and sleeping through the night." There are SO MANY different sleeping bags available for your baby. So many different types, brands, sizes, TOG ratings, and features to choose from. It’s really easy to get overwhelmed by choice when it comes to infant sleeping bags. This is intended to be a bit of a guide to help you navigate through all the choices you need to make when selecting the right infant sleeping bag for your baby. So hopefully we can narrow it down to a few options, rather than trying to choose an infant sleeping bag from the entire range. Why Choose An Infant Sleeping Bag Over A Regular Blanket? Infant sleeping bags aren’t just more convenient to use than regular blankets, they are also potentially safer. 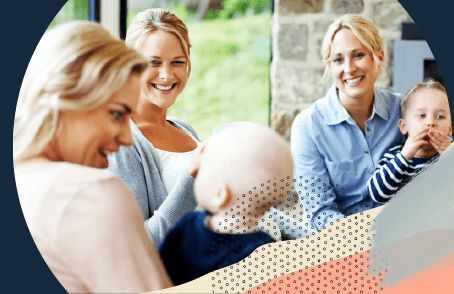 According to the Red Nose website (formally known as “SIDs and Kids”). They say that research has shown that a correctly fitted sleeping bag, that has armholes, and no hood, may reduce the risk of baby being covered in bedclothes, promote back sleeping as the zippers open at the front, and also may keep baby’s temperature more constant while they’re sleeping. (Source). The Red Nose website recommends the GroBag sleeping bags, or the swaddle style SleepSack. Most babies love to be swaddled when they’re first born. Being snuggled up in a womb-like environment and feeling like they’re being held can help babies fall asleep quicker and stay asleep longer. And who doesn’t want that? Though sometimes burrito-ing your baby up in a blanket or muslin wrap can be a little tricky. Swaddle style sleeping bags can help take the guesswork out it. They’re easy to use, especially for new or sleep-deprived parents. The Ergobaby Swaddler is an option. That said not ALL babies love to be swaddled. Also, according to the Red Nose website, it’s essential that once your baby shows signs that they can roll that you discontinue swaddling them immediately. So this is also when a sleeping bag might come in handy! Alternatively, there are lots of option that easily switch from arms-in swaddle to an arms-out sleeping bag, depending on your baby’s preference and their development. For example, the ErgoPouch Cocoon Swaddle + Sleeping Bag, Ergobaby Sleeping Bag and Swaddler Set, and the Love To Dream Swaddle Up (which is also great for baby’s that prefer to sleep with their arms up, rather than tucked across their chest. What are TOG ratings and how do they work? TOG stands for Thermal Overall Grade. It essentially describes how insulated a sleeping bag is and so how much warmth they will provide to your baby. TOG ratings help you work out which sleeping bag is appropriate for the overnight temperature. The higher the TOG rating, the lower temperature it’s designed for. Keep in mind every baby is different, and the temperature in their room may fluctuate, so this is a guide. It’s still important to check on your baby and ensure they’re not overheating or too cold. There are some other features that you may want to look for when you’re choosing your infant sleeping bag. One feature that might be important to you is the ability to unzip or open from the bottom so you can change baby’s nappy without unswaddling their arms. 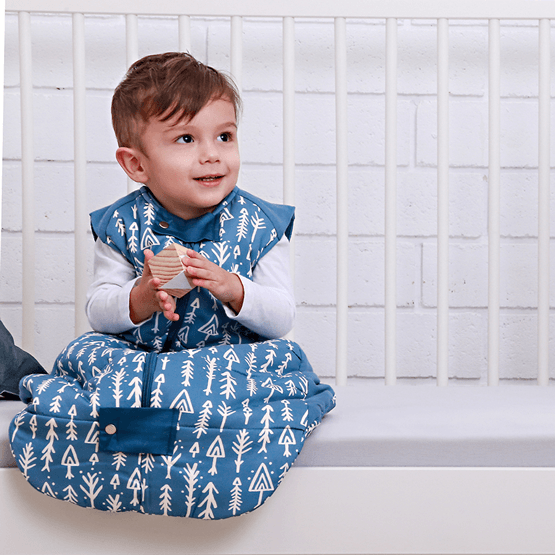 Another great feature for older babies and toddlers is the ergoPouch Sleep Suit Bag has the ability to zip apart at the legs and allow your child to walk around in their sleep bag. Otherwise ,another feature that might be important to you is simply choosing a sleeping bag that suits the aesthetic of your nursery.